Yofukuji Temple Site is located approximately 1.3 km north-east from Tsurugaoka Hachimangu Shrine. Yofukuji Temple Site is an archaeological site of a Buddhist temple which shows the samurai's intention to promote Buddhism together with Shintoism when the samurai established their power. As a temple constructed through valley development, this temple also had an influence on the site selection and the construction of Buddhist temples in Kamakura later on. Yofukuji Temple is a Buddhist temple constructed in 1192 by Minamoto no Yoritomo, who defeated the Oshu Fujiwara clan and established the Kamakura Shogunate in 1189, to pray for the souls of the war dead of the enemy. Based on the "Azumakagami", it was identified that Yofukuji Temple was modeled after Daichoju-in of the Chuson-ji Temple and the Kondo (main hall) of the Motsu-ji Temple which was dignified in Hiraizumi. After the death of Yoritomo, it prospered as a place of amusement for the Shogun family. However, after the fall of the Kamakura Shogunate, the power of the temple declined and it was abolished in the Edo Period. 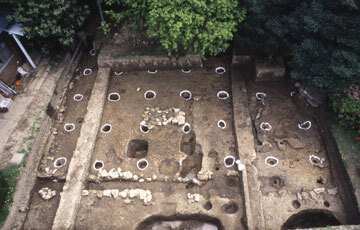 In addition, through the numbers of archaeological excavations etc. which have been conducted since 1966, it was identified that the historic layout of the complex, its transition, and archaeological remains including garden pond and garden stream are preserved underground in good condition. Based on this result, Kamakura City drew up "Basic Concept for the Presentation of the Historic Site, Yofukuji Ato" in 1994, "Implementation Plan for the Presentation of the Historic Site, Yofukuji Ato" in 1997 and has been conducting step-by-step improvement work aiming at opening the site to the public and utilizing it since 2006. Hokkedo Buddha Hall Site, located approximately 0.6 km north-east of Tsurugaoka Hachimangu Shrine, is a place where Hokkedo Buddha Halls were built on a flatland created on the skirt of the mountain area in order to pray for the peace of the souls of Minamoto no Yoritomo, the founder of the Kamakura Shogunate, and Hojo Yoshitoki, who laid the foundation for the development of the political power as the second regent. It is an archaeological site that shows the characteristics of Kamakura, where the space for temple compounds was secured through the development of the skirt of the mountain area. Yoritomo died at the age of 53 and said to be buried in his private Buddhist hall ("Jibutsudo") which was built in his lifetime. This private Buddhist hall is considered as the Hokkedo Buddha hall. Hokkedo Buddha Hall, was revered by the succeeding shogunate, because the founder of the Shogunate was enshrined here. In the Modern times, Hokkedo Buddha Hall was moved to the skirt of the mountain (located at present Shirohata shirine ) and Yoritomo's stone pagoda was built at the previous Hokkedo Buddha Hall area. In 1779, Shimazu Shigehide (feudal lord of Satsuma) maintened Yoritomo's pagoda which still remains today. Yoshitoki died at the age of 62 and his Buddha Hall was said to be built in the east, above Yoritomo's Buddha Hall. The Buddha Hall suffered from several fires and reconstruction repeatedly, but it disappeared in the end of Kamakura period. 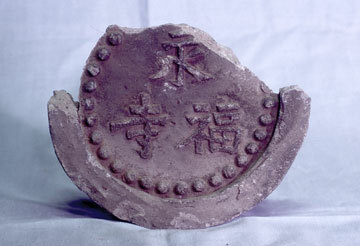 At the excavation findings in 2005, remains of Buddha hall (assumed as Yoshitoki's Buddha Hall ) was confirmed. 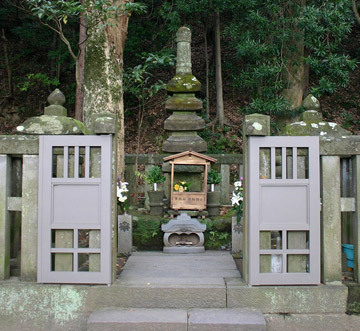 Toshoji Temple Site is located approximately 0.6km south-east from Tsurugaoka Hachimangu Shrine. It is an archaeological site of a Buddhist temple that shows the characteristic of the Buddhist temple development in Kamakura that secures the compound area by developing a narrow valley. It is an archaeological site where the Hojo clan committed suicide by the sword at the fall of the Kamakura shogunate in 1333. 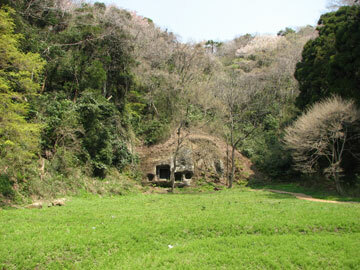 There exists a "yagura" cave where, according to legend, the members of the Hojo clan killed themselves. The site is located at the north-east of a valley that penetrates toward the south-east direction and also at a base of a valley at the centre. A mountain area at an altitude of approximately 50 to 70 m stands behind the site and flatlands, which were the compound, as well as "kirigishi" cut-cliff, which was created by cutting down the foot of a mountain area to secure the space for the compound, remain in many places within the area surrounded by the mountains. Toshoji Temple was built by the third regent, Hojo Yasutoki (1183 - 1242). Although it was a family temple of the Hojo clan and also a multi-sect temple like Kakuonji Temple and Jokomyoji Temple, it was burned down by the war-caused fire at the fall of the Kamakura shogunate in 1333. It was restored in no time and became genuinely a Zen Buddhist temple. Although the temple retained its power until the late 14th century, it was abolished during the period from the late 15th century to the 16th century and has never been restored since. Hojo Tokiwa Residence Site is located approximately 2 km south-west from Tsurugaoka Hachimangu Shrine and approximately 0.4 km north of Daibutsu Kiridoshi Pass. It is an archaeological site which retains the characteristic of the samurai residences which secured its ground through valley development straightforwardly and well. This site also shows how the defense function was raised by placing the samurai residence in vicinity of Daibutsu Kiridoshi Pass. In addition, the abundant excavated artifacts corroborate what is written in the "Azumakagami", which says that "Waka-e" ("waka" poem parties) was frequently held at "Tokiwa Residence", giving testimony to a part of the samurai culture. Based on the place name and the description in the "Azumakagami" and local records dating from the Edo Period, this site had been thought since early to be the "Tokiwa Residence" site of the seventh regent, Hojo Masamura (1205 - 1273). 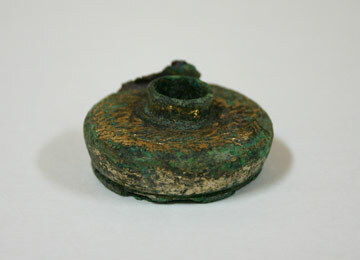 Through the archaeological excavations in recent years, remains of base stones as well as a large quantity of artifacts including stationery and toys were found. As the results of the excavations agree with the record that poem-reading party was actively held at the residence, it was identified that this archaeological site was of "Tokiwa Residence". Wakaenoshima Port is located at the south-eastern end of Kamakura, which opens southward to the sea, or at the eastern end of the coastline extending over a length of approximately 2 km in front of the urban area of Kamakura. 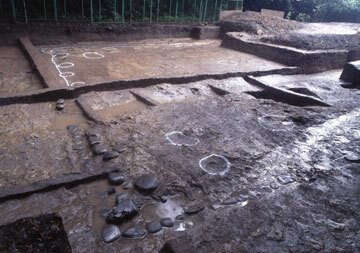 It is the oldest extant archaeological site of a manmade port in Japan. 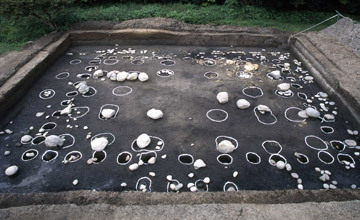 The existing state of the archaeological site has a form of embankment where round stones of 40 to 50 cm in diameter are piled up from the landside toward east-west. An octagon-shaped low rise and stone pillars can be identified near the tip, approximately 250 m from the land. The site is approximately 100m in width. The south side is almost in a straight line and a small inlet exists on the north side near the land, although the scale of the inlet is not known. 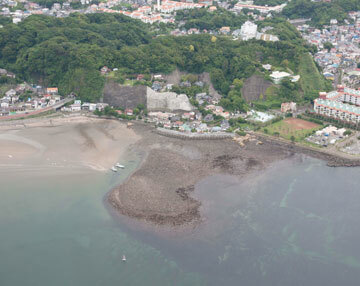 Although the present-day Wakaenoshima Port sinks at high tide, the whole port emerges at low tide during the spring tide. Wakaenoshima Port was constructed in 1232 with assistance from the third regent Hojo Yasutoki. From the late 17th century to the early 18th century, repair work of Wakaenoshima Port was conducted when Tsurugaoka Hachimangu Shrine was repaired by Shogunate. However, due to continuous damage from high waves etc., most of the port was sunk underwater by the late 19th century. Due to the land uplifting caused by the Tokyo Earthquake of 1923, the whole island emerged from the water and the stone masonry collapsed. The Japan Navy carried out the stones from the part attached to the land in 1945 and it has been so up to the present time.